The eleven interconnected essays of this book penetrate the dense historical knots binding terror, power and the aesthetic sublime and bring the results to bear on the trauma of September 11 and the subsequent War on Terror. Through rigorous critical studies of major works of post-1945 and contemporary culture, the book traces transformations in art and critical theory in the aftermath of Auschwitz and Hiroshima. 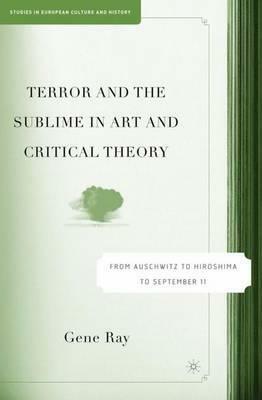 Critically engaging with the work of continental philosophers, Theodor W. Adorno, Jacques Derrida, and Jean-Francois Lyotard and of contemporary artists Joseph Beuys, Damien Hirst, and Boaz Arad, the book confronts the shared cultural conditions that made Auschwitz and Hiroshima possible and offers searching meditations on the structure and meaning of the traumatic historical 'event'. Ray argues that globalization cannot be separated from the collective tasks of working through historical genocide. He provocatively concludes that the current US-led War on Terror must be grasped as a globalized inability to mourn. Illustrations note XIV, 220 p.